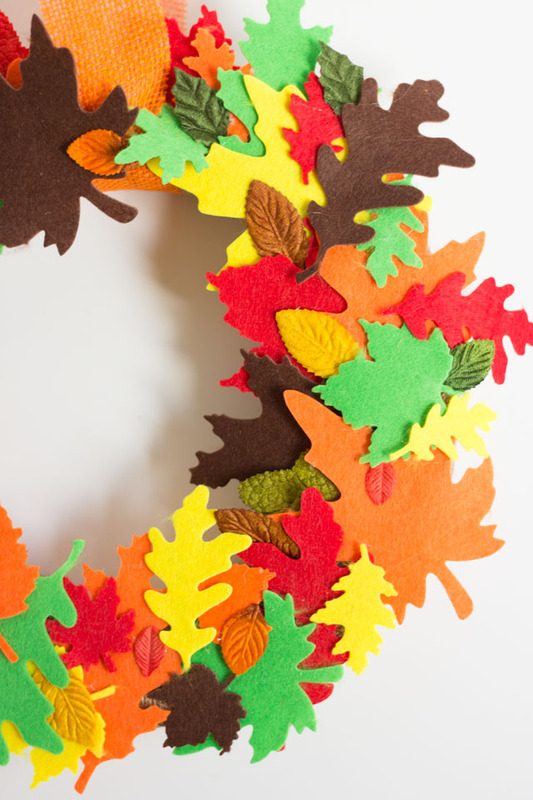 Make a Colorful Fall Leaf Wreath! Are you like me and live in a part of the country that doesn’t get to enjoy the changing color of the leaves at this time of year? Well, here’s a way you can bring all those those beautiful red, orange, and yellow leaves to your front door with a simple DIY fall leaf wreath! Made from pre-cut felt leaves from Oriental Trading, this wreath gave me just the dose of fall I needed. Check out how it looks in our living room along with the fall leaf pumpkins I shared last week! I love all the different shapes of leaves that come with the felt pack. I also added in some pretty velvet leaves for additional texture and color. 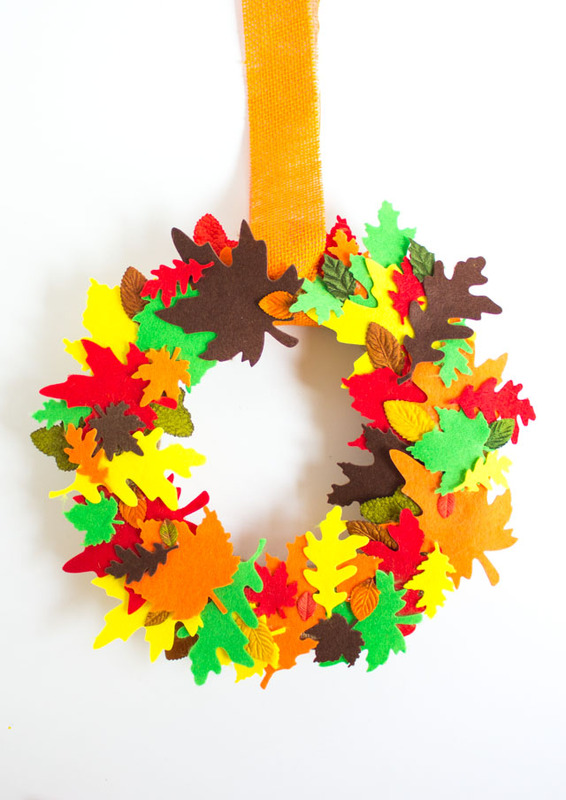 I just scattered the different colors of leaves around the wreath from and secured in place with hot glue – so easy! 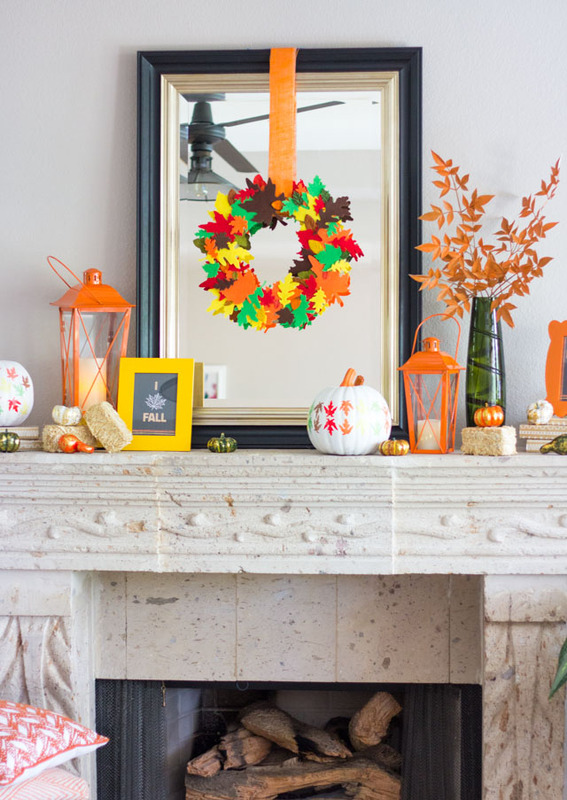 Head to Oriental Trading’s blog for the full DIY fall leaf wreath tutorial and more photos of our cozy fall mantel!